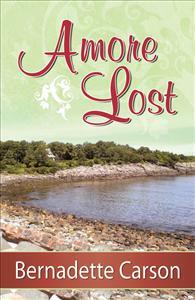 In Amore Lost, the Ogunquit, Maine, trilogy continues with two shocking deaths and tells the poignant stories of how those deaths affect the lives of several characters. In this third of the Ogunquit, Maine trilogy, the story of friends and partners, Frannie Oliveri and Glory English, continues. Amore Lost begins with two shocking deaths and tells the poignant and sensitive story of how those deaths affect the lives of several principal characters. Also, the love story that began in Some Kind of Miracle between Suzanne Oliveri and Rob Butler is now threatened by untold secrets. Frannie, everyone’s trusted friend and confidant, tries to help Suzanne and Glory through their personal struggles, while she silently battles with her own heartbreaking love story.